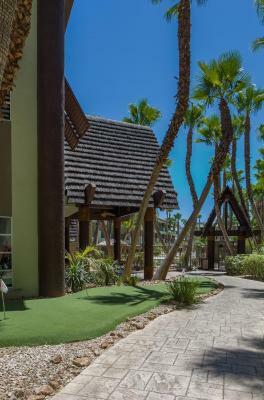 Lock in a great price for Tahiti All-Suite Resort – rated 8.2 by recent guests! The place was nice, staff was kind the room was nice and big. We are a family of 6, we received a double bedroom suite with another living room. 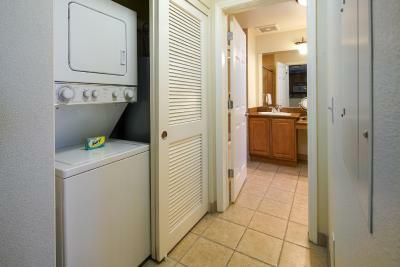 It was equipped with a full kitchen, washing machine and drier, every bed room was equipped with a bathroom. We received as many washing powder as we needed from the hotel and powder for the dishwasher as well. Plenty of parking for the car, and a shuttle service that runs almost 24h a day. There is a shopping center 100 feet from the hotel for everything you need. Very recomended for large families. Customer service from from desk was amazing! She answered all my questions and let us know what offers were available and completed check-in quickly. 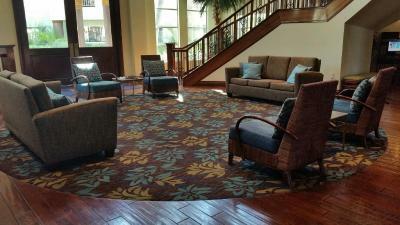 The overall service, cleanliness, and the convenience of the shuttle was excellent! My husband and would definitely return. We did not get to try the breakfast. We did not like the location. The muffins were good and the fruit and beverages. The person who helped was very friendly and helpful. The room was fine. 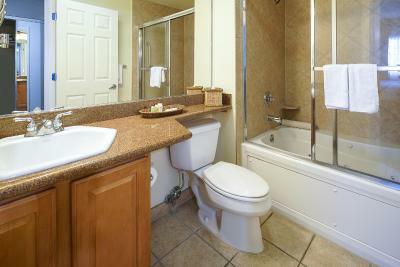 I liked that it was a suite with fireplace, balcony, whirlpool tub and shower and kitchen. felt like an apartment. They offer a decent continental breakfast with fruit, muffins and real OJ. The pool area is sheltered and very pleasant on a spring day. 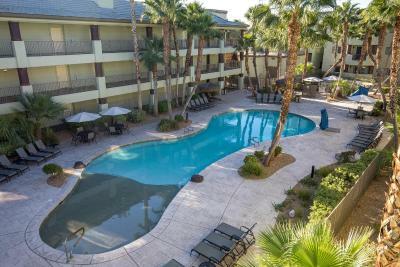 Walking distance to the Orleans for West Coast Conference basketball tournament. 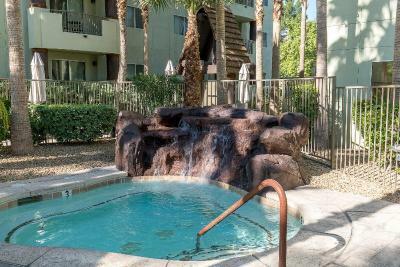 Tahiti All-Suite Resort This rating is a reflection of how the property compares to the industry standard when it comes to price, facilities and services available. It's based on a self-evaluation by the property. Use this rating to help choose your stay! One of our best sellers in Las Vegas! Featuring a South Pacific theme, this all-suite resort offers an outdoor swimming pool with a sand bottom, a gym and spacious suites. 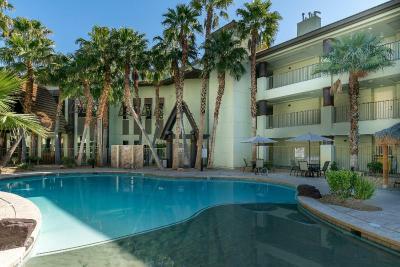 It is 2.5 miles from the Las Vegas Strip and MGM Grand Casino. A complimentary light continental breakfast consisting of bagels, fruit and coffee is included. Every suite has cable TV and a DVD player. A microwave, fridge and sink are also included. 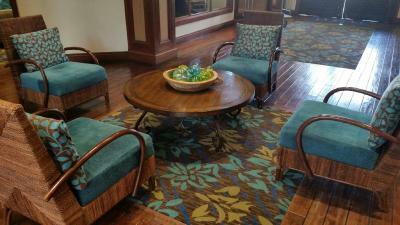 Each is decorated with tropical décor and has wood furniture. Select suites have a full kitchen. 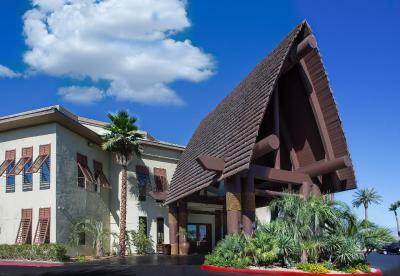 McCarran International Airport is 5 miles from this resort. Las Vegas Premium Outlets is 15 minutes’ drive away. 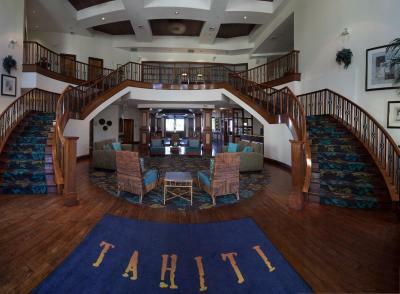 When would you like to stay at Tahiti All-Suite Resort? House Rules Tahiti All-Suite Resort takes special requests – add in the next step! Tahiti All-Suite Resort accepts these cards and reserves the right to temporarily hold an amount prior to arrival. Please note: Weekly housekeeping is provided free of charge. Daily housekeeping is available at an additional charge. Friendly helpful staff, very comfortable bed. Spacious room. Good shuttle service. Covered parking spaces. Construction right outside my room, pool was closed and was not advertised, hallway was dated. Breakfast is poor and we ended making our own breakfast in the rooms kitchen. Comfortable rooms and wonderful staff. We were not told swimming pool getting renovated until check-in. just that there is no early check in and I missed my event what I drove to Las Vegas for.. This resort is amazing value. We were so pleasantly surprised by the size, comfort and presentation of our suite when we arrived after an 800km drive. The staff were super friendly. The breakfast bagels are a wonderful start to the day. The facilities (pool, gym etc) are also a bonus. It’s a wonderful, quiet oasis in the amazing craziness of Vegas. Free shuttle to and from the Las Vegas Strip also a bonus. Can’t rate this place more highly. the food in the restaurant was not good at all. It was quiet enough that the one pool that was open was perfect. But it would have been nice to be informed before hand that the other two pools were closed. Again, it didn’t really affect us. The one pool was big enough. Loved the size of one bedroom, clean, quiet hotel except for some banging and drilling in the suite next to us. But we weren’t in our room a lot so it did not bother us, plus it means the hotel is renovating to make it better for everyone. Convenient location to climbing area in Red Rock Canyon (15-20 min drive). Close enough but far enough from strip. Starbucks in walking distance. Grocery store close by. Great price, Friendly staff! 2 of 3 pools were under construction! Breakfast is a joke- bagels and a banana basically. Worse than a low end Holiday inn. The hotel was a little outdated and one of the pools was out of use. The free breakfast was not good! The staff were friendly and helpful. The room was ok. The location was good with shops and restaurants nearby. Had requested that our room be close to our friends when we booked and we were on different floors in same building. Resort under renovation so 1 pool was out of order as being redone and we heard contractors early in morning working in rooms.